Choose a subject below to learn more about the advantages of UQuality products. UQuality Automotive Products has a great history in the manufacturing and distribution of high-quality brake discs (rotors) and brake pads. Their products are manufactured in ISO/QS certified factories, meeting or exceeding stringent requirements of fit, form and functionality. 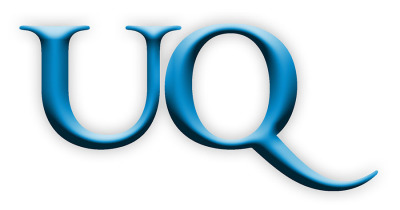 To provide the best service for their customers, UQuality has fully stocked distribution centers in Cerritos, CA and Richmond, VA. As a matter of fact, UQuality Automotive Products has won many service awards for their order fill and best in supplier services. Uquality understands that having products delivered on time, at very competitive prices, is what is demanded in the marketplace. With Uquality's high award-winning service levels, coupled with their exceptional product quality, they have become a major leader in the Automotive Aftermarket. • Programs tailored to fit each customer’s needs. UQuality maintains all the tooling and molds to assure consistent stability. Their state-of-the-art facilities includes automated pouring equipment, CNC lathes, and other high tech equipment that is all maintained in-house. Sophisticated testing procedures are required and adhered to which results in precise fit and exceptional performance. All UQuality products are consistent with OEM & SAE J431 standards, and QS 9000, ISO 9002, TUV and TS16949 certifications are in place.